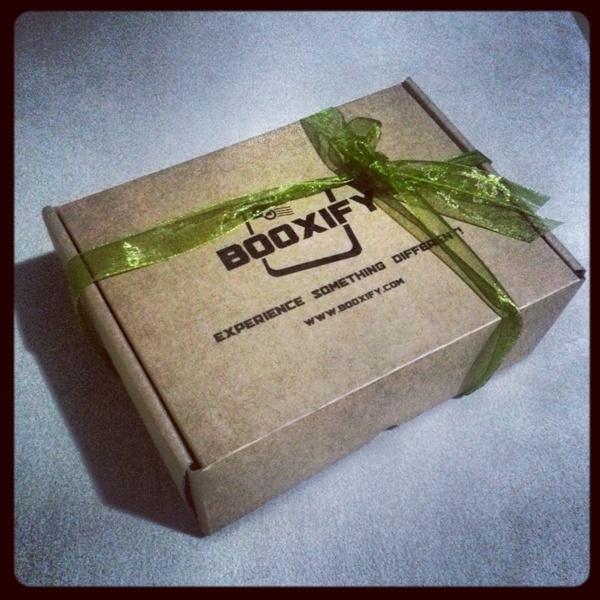 Booxify’s concept is simple – for a monthly fee of S$16, subscribers get a box of surprise – yes you don’t know what you are paying for except the broad theme that you will get exclusive international and local products. 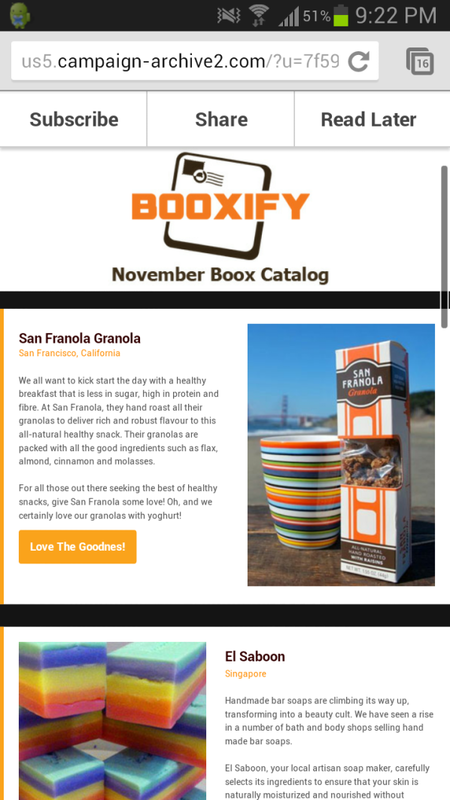 Unlike other similar surprise box subscription services which focused on cosmetic products, Booxify diversifies into snacks, drinks and some skincare products. 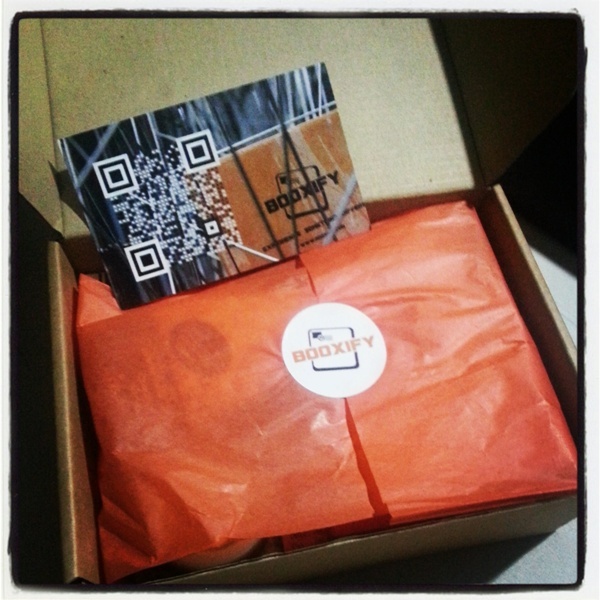 The Booxify packaging looks good and is very compact in size. It comes with a card with a QR code which allows you to scan with your smartphone to get more information on what the box contains and details about each of the products. 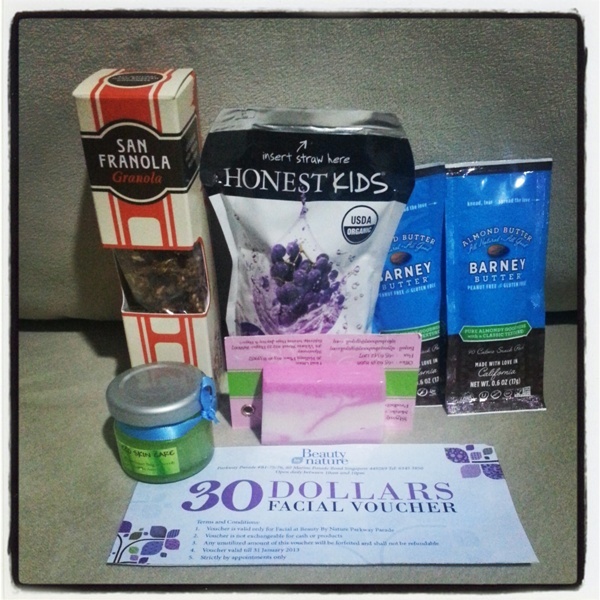 Our November Booxify contents are as follows – a San Francisco Granola bar, grape juice, almond butter spread and for skincare, we got a bar of soap (from Saboon – the Hokkien/Malay translation of soap) and a small jar of skincare cream as well as a $30 facial voucher. More details of each of the products can be obtained by scanning the QR code on the card in the Boox.